Go follow @Bsmithkano and @MacaroonMelinda!! And @SansWolf! 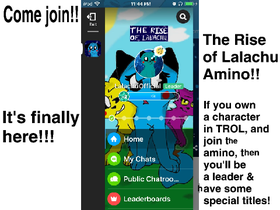 The Rise of Lalachu Amino!!! Come Join!!! Cats of the Forest || Fanclub!! Lalachu's Personal Warriors Refs AND TROL Refs!